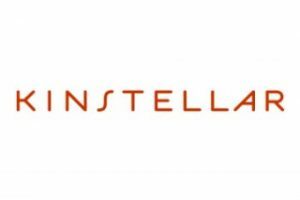 Kinstellar was created in 2008 by the spin-off of four CEE offices of Linklaters. In 2010 Kinstellar expanded with the opening of new offices in Turkey and Serbia. In 2013 Kinstellar further expanded with the opening of its new office in Almaty, Kazakhstan and in 2014 in Sofia, Bulgaria. Kinstellar provides focused, commercial legal advice to corporations, financial institutions and governments. Operating from offices in Almaty, Belgrade, Bratislava, Bucharest, Budapest, Istanbul, Prague and Sofia, Kinstellar works with many of the world’s largest corporations, financial institutions and leading international law firms. Kinstellar offers expertise in banking, finance and capital markets, competition and anti-trust, compliance, risk and sensitive investigations, corporate M&A, dispute resolution, energy, life sciences and healthcare, private equity, projects, real estate, restructuring and insolvency, tax and TMT.